This week the internet has been flooded with photography of the 2017 eclipse from America. 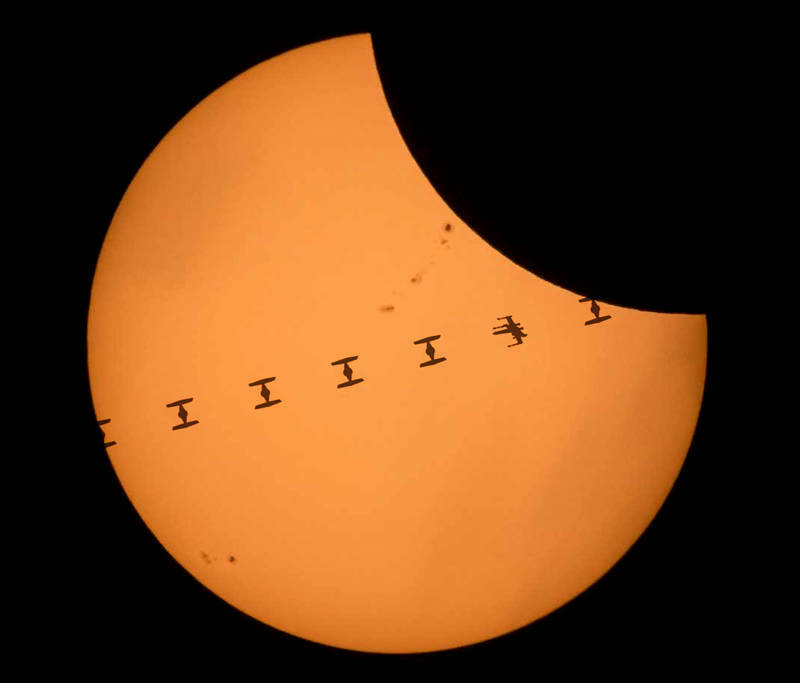 One had a timelapse of the international space station repeatedly silhouetted on the sun. Australia has to wait until 2028 before an eclipse will pass over Sydney so I had to improvise with this composite made in Photoshop.